It is safe to say that no vocal group of their era represented more of a turning point in popular music than The Legendary Teenagers. Their music has underscored countless movie scenes, TV commercial and influenced everyone from Diana Ross to Michael Jackson and Billy Joel just to name a few. The nucleus of the group has always been the founder and original group member Herman Santiago. From inception until today, their class, professionalism and vision has been the backbone of The Legendary Teenagers' success. Audiences can expect to hear all of their original classics starting with "Why Do Fools Fall In Love", "Goody Goody", "ABC's Of Love", "I Want You To Be My Girl", "I Promise To Remember", "Share", and many more of their hits. 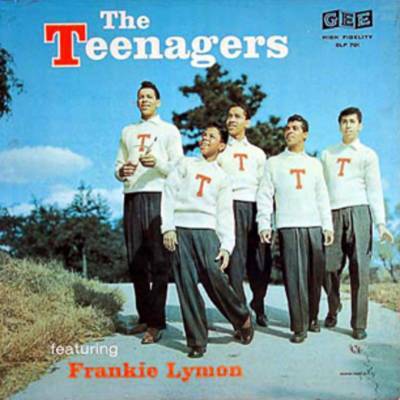 What makes The Legendary Teenagers so exciting today are the same key ingredients that turned rock and roll on its ear when they bouned onto the scene with Frankie Lymon , the exuberance of our fantasic lead singer, with those dynamic harmonies and dazzling choreography are still with us today. The Legendary Teenagers' variety show is perfect for casinos, corporate events, cruise lines, theme shows, supper clubs, concert halls and major arenas. "Rock, Rock, Rock", "Mister Rock & Roll", "Joey", VH1 Salute to Rock & Roll Hall of Fame Inductees, PBS Special "Doo Wopp Love Songs" and many more! Madison Square Garden, Apollo Theater, London Palladium, Meadowlands Arena, Radio City Music Hall, Chicago Theater, most Las Vegas & Atlantic City casinos, extensive tours of Europe, the Caribbean and the British Isles. The Legendary Teenagers have had the honor of entertaining audiences around the world for decades and continue to do so. Call today to be a part of the legacy! 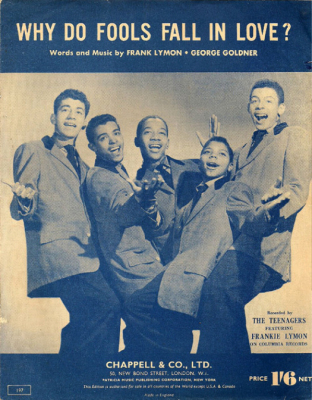 "A Night of Doo Wop and Rock N Roll"
The Legendary Teenagers - "Why Do Fools Fall In Love"
LA LA Brooks – "Da Do Run Run"
Kid Kyle - "The Diary"
Larry Chance & The Earls - "I Believe"
The Vogues - "5 O’clock World"